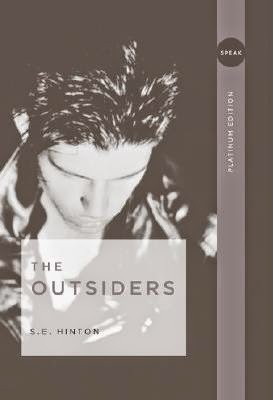 Summary: One of the first real young adult novels written, the story follows Ponyboy, his brothers, and his friends as they try to find their place in the world. The Greasers vs. Socs battle rages on and Ponyboy is stuck right in the middle of it. What I Thought: This is one of those books that someone slipped through my education. Maybe because of its age; it was published in 1967. I do not think I had even really heard of it until it was assigned for my Family in Literature course this spring. I guess I liked it ok. I really struggle to connect to stories about adolescent boys. What can I say? I never was one. I don't understand them. Summary: Liesel, a young German girl living at the peak of Nazi power, begins a pattern of stealing books while leaving her brother's burial. Each stolen book plays a role as she learns about life, relationships, and the unfairness of the world. What I Thought Before: I enjoyed it overall, but I do not think I fully appreciated Zusak's work or the depth he conveys in the book. Full thoughts here. What I Think Now: I read this book again for my Family in Literature course. Reading for class, especially on the graduate level, really casts a different light onto what you are reading. Probing discussions and essay questions make you think much more deeply. While at first I thought re-reading this book would be an easy week, I ended up being so grateful for a second, more challenging look at Zusak's work. In my experience thus far, the movie adaptations of classic novels can be just as hit or miss as the novels themselves. No one wants to debate their intrinsic cultural value...just, perhaps, their entertainment value. When I read Theodore Dreiser's novel Sister Carrie, this past fall, I was thrilled to discover I liked it! It wasn't one of the ones from the list I had to push through painfully. Instead, I loved the rise and fall of Dreiser's characters, the realness with which they are portrayed. His plot is anything but cliché, although, arguably, what is not cliché on the page is in real life. As with any book I enjoy, my hopes for the film adaptation were reserved. I have seen plenty of old school adaptation that simply did not live up to their inspirations (I am looking at you Orson Welles' The Magnificent Ambersons). 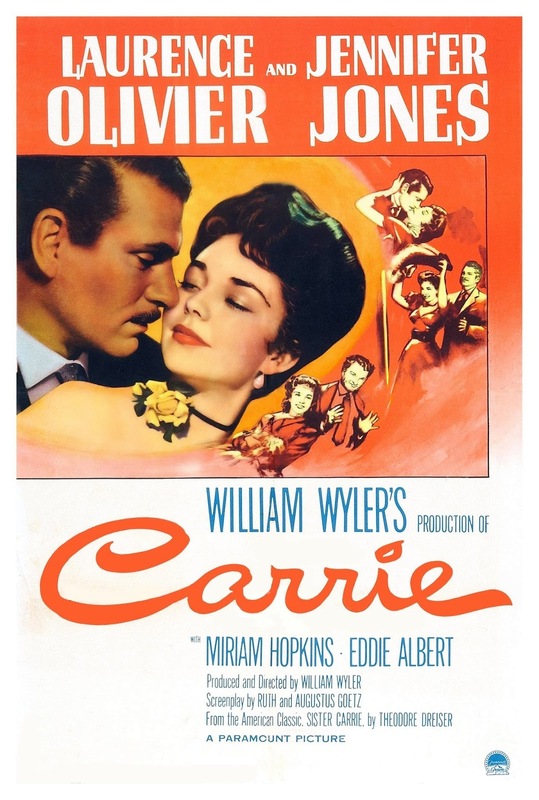 So, I sat down to the 1952 black and white adaptation of Carrie with trepidation and a critical eye. I liked that you saw her say goodbye to her family. Puts her in that "Sister" Carrie position right from the start. Drouet really comes alive from his very first scene. He's such a scoundrel and the movie makes it easier to understand how easily Carrie falls into his trap. She's so naive. How I Found It: Kevin read both this and the prequel, The Passage, and recommended them to me. 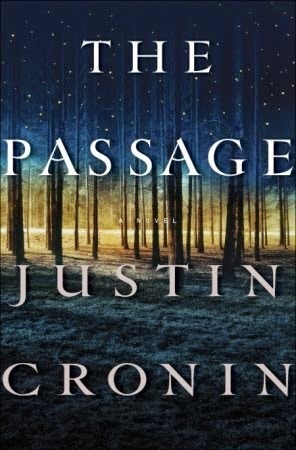 Summary: Cronin continues his exploration of a world where vampire-like virals have taken over. He opens five years after the end of The Passage and those characters are spread out and disconnected. He gives us more of their journey, but not before exploring some of the time just after the spread of the virus began decades earlier. What I Thought: Once again, Cronin has packed way more than one book's worth of storylines into a single novel. Once again, I have conflicting feelings about the effectiveness of that style and the book itself. Summary: Does anyone actually need a summary of this book by now? 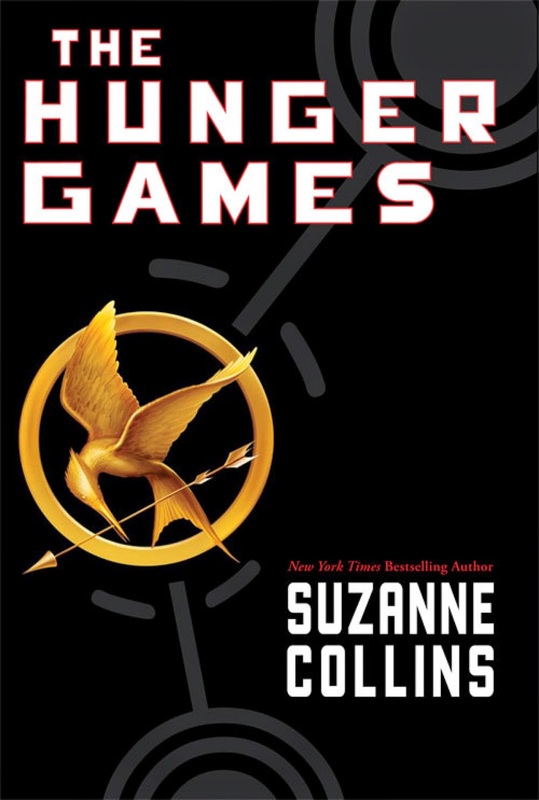 Just in case... Katniss Everdeen lives in a post-apocalyptic America, now called Panem. Each year, the Capitol requires the 12 Districts to send two tributes to compete in The Hunger Games. The tributes are put in an arena and fight to the death while the country watches on television. Katniss ends up as a tribute when she volunteers in place of her younger sister. What I Thought Before: Here's what I wrote back in March of 2012. Basically, I expressed my love for the series and for Katniss, I avoided spoilers, and griped about Collins's stream of consciousness writing. Please ignore the comments I made claiming Veronica Roth is a better writer than Collins. I was young and foolish. I had no idea the Divergent series was going to end up being such a mess. That one comment is seriously one of my most regretted moments in the three years I have been blogging. What I Think Now: I am a bigger Hunger Games fan now than ever before. I still recognize that Collins's writing is not perfect. In fact, reading the book again this time around (for my Adolescent Literature course) reminded me of some of those imperfections. However, the more times I read the series, the less worried I am about some of the writing and the more interested I am in the conversation it creates. Summary: Deraniyagala tragically lost her parents, husband, and two young boys in the December 26, 2004 tsunami. Her memoir explores her journey through grief and mourning and how her life will never be the same. What I Thought: I had this book On Reserve for so long, I honestly forgot what Deraniyagala's story was. I think I had gotten it confused with the Naomi Watts' movie The Impossible that came out a few years ago. In that also true story, the mother of three sons is eventually reunited with her family. For the first several chapters, I kept expecting Deraniyagala to have a similar miraculous experience. Instead, she was forced to face the most horrible reality I can imagine: losing nearly everyone you love and surviving. How I Found It: It was one of the biggest books of 2013. Summary: Ursula Todd is born in 1910 England. She dies within minutes of her birth. And starts over. As she lives her life over and over again, she succumbs to all sorts of deaths: childhood accidents, influenza, bombings during the Blitz. Each time, each life, Atkinson explores the idea of how small decisions can change the course of a person's life in incredible ways. What I Thought: I really enjoyed this one. It was so different. It took me a bit to catch on to exactly what was happening, but once I did, I loved exploring each reincarnation of Ursula's life. Reading the description, you would think the constant resetting would get monotonous. Somehow, Atkinson keeps it fresh and interesting. 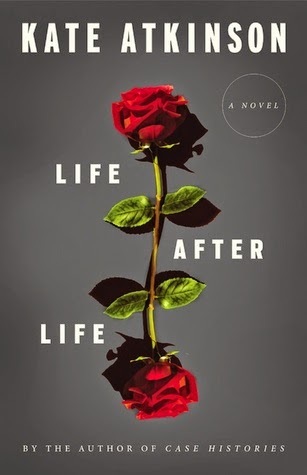 Each version of Ursula's life nudges her closer to an historic fate, one which Atkinson gives away in the first few pages, so I don't mind telling you. It's all setting Ursula up to bring down Hitler. How I Found It: Kevin actually read it first! I picked it up randomly for him and ended up reading it, too. Summary: Gosh, this is a hard one to summarize, partially because it's like two books in one. The first half explores the idea of a government science experiment gone very wrong. What started as a tropical virus has turned the death-row inmate subjects into, well, modern vampires. Spoiler alert: they escape and ravage the continent. The second half takes place decades later in one of the last remaining communities of humans in America. What I Thought: I have very conflicting feelings about this book. 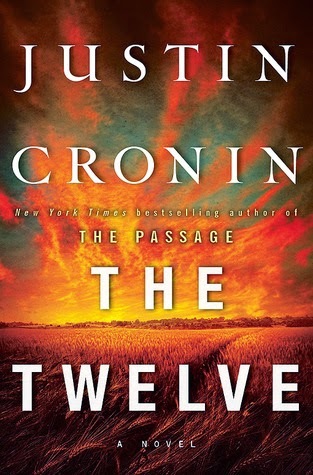 On one hand, I love Cronin's exploration of not only a dystopian world, but how it got that way. It could have been separate books, but I liked that it was all together. It made it feel more cohesive to me. On the other hand, vampires? I had no clue that's what I was getting into. He definitely shies away from any Dracula romanticism of them. The virals are vicious and blood-thirsty. At first I thought they were more zombie-like, but he definitely dropped plenty of clues by the end that they are vampires (fear of light, lack of reflection in a mirror, hanging upside down like bats, etc.). Summary: Scottish teenager Quin lives in either an unknown future or a parallel universe to our own. She has spent her whole life on her family estate, training to be a Seeker. Upon taking the oath, she realizes the role is not at all what she expected. Suddenly, the world and those she held dear are foreign and dangerous. 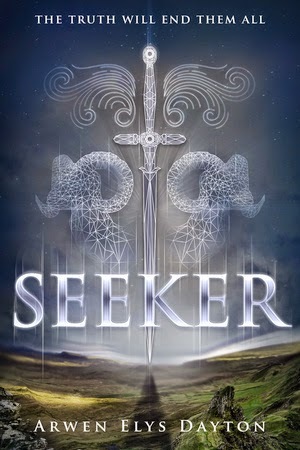 What I Thought: NetGalley advertised this as the next big hit for fans of Hunger Games, Divergent, Legend, and Game of Thrones. Quite the list to be on. The letter from the editor in the start of my advance reader's copy said "it sparkles with the kind of textured storytelling that the most literary works are beloved for, and yet it readers at a page-turning apce to rival the most accessible adventure." Oh, how I wanted that to be true. Unfortunately for the hopeful (myself included), Seeker falls short of the examples on that list. This book really had a lot of promise. The concept and characters are there for an interesting, exciting, intriguing adventure. I wanted to like the story and to root for the characters. However, I really struggled to connect. Dayton tried to make it captivating right from the start, yet I failed to be captivated. She consistently tells instead of showing, which remains one of my largest literary pet peeves. I love Lois Lowry's The Giver. Even though most of my peers read it years and years ago, I only was introduced to the book (and series!) in 2012. It somehow was one of those books I had just never gotten around to reading. How glad I am that changed! If you haven't read the book, I strongly encourage you to do so. And, if you read it years ago, you may not know there is a whole series! Lowry just wrote the fourth book a couple years ago, long after the other three. 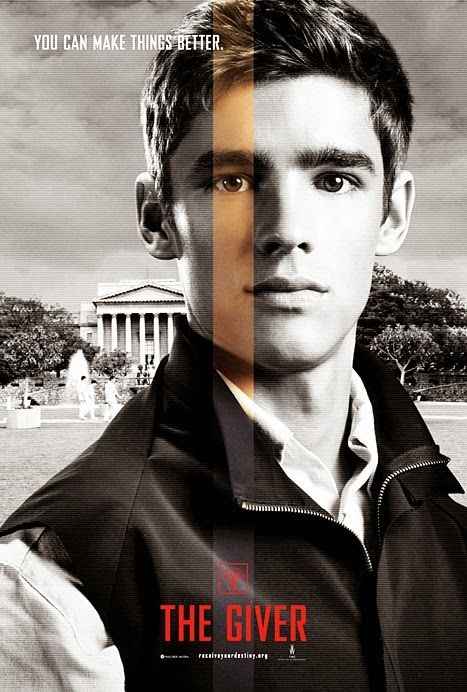 All are good, but the sequels, I must admit, do not come close to The Giver - at least not for me. Along with many Giver fans, I anticipated last summer's film adaptation with both excitement and apprehension. The book is so good and was going to prove inherently difficult to adapt for a visual audience. There is a reason it had not been done in the intervening years between original publication and now. The trailer made me nervous. The online discussions made me nervous. 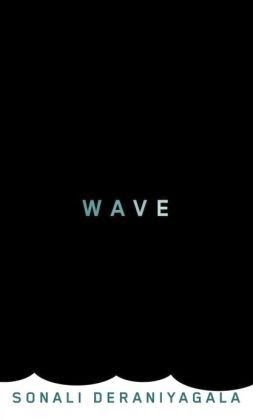 The somewhat lack luster reception at the box office made me nervous. So, we waited for Netflix. We do that with basically everything but Hunger Games anyway, so it wasn't a big deal for us. Plus, Kevin has not read The Giver (I know!! ), so he was not particularly interested. We finally got around to requested the Blu-Ray late this fall. 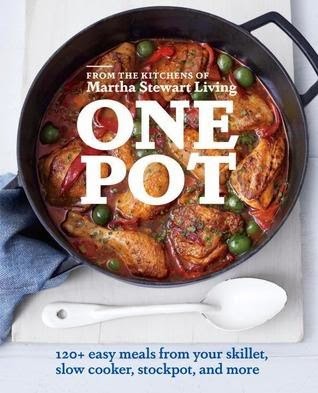 Summary: A collection of recipes you can cook all in one pot, whether that's your slow cooker, a Dutch oven, stovetop, or something else. What I Thought: Ok, I know, I know. This is not in my normal wheelhouse for the blog. But, as the person responsible for all food production in this home and as a person who despises doing the dishes, I jumped at the opportunity to get my hands on this cookbook. The premise is super simple. It's a cookbook full of recipes that only cook in one pot. Crock Pot, stovetop, Dutch oven...whatever. Everything goes into one cooking device. No extra mess. I have two classes (and a thesis!) left to complete my Master of Liberal Arts. Both are literature classes. No surprise there, I suppose. This term, I am taking Family in Literature. I have to admit, the reading list surprised me a bit. I guess I was expecting novels starring traditional families. 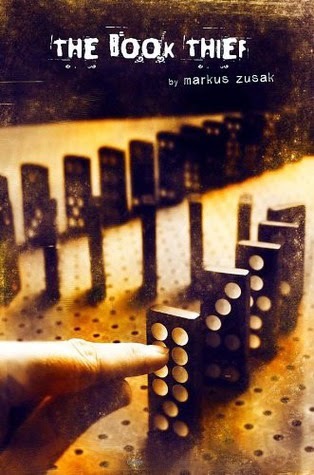 Instead, we are reading novels like this one. 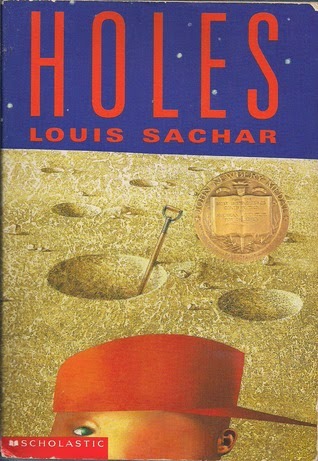 Who would have ever expected Holes by Louis Sachar to be on the reading list for a Family in Literature course? Not me. Yet, now that I have reread this Newberry winner from my childhood and taken part in our class discussions, I kind of understand. The book represents, as we called it in class, the non-nuclear family. In other words, the characters form their own family, one not based around a parental core. For those of you unfamiliar with the book, Louis Sachar's quirky style is on display here. He recounts the story of Stanley Yelnats (that's Stanley spelled backwards...) who is falsely accused of stealing a baseball legend shoes from a charity auction. As punishment, he's sent to Camp Green Lake. Camp isn't what he expected, though; every day, he and the other campers are required to dig a five foot wide, five foot deep hole in the desert lake bed. Sounds miserable, right? Yeah, it seems to be. I cannot believe January is already over. It flew by. And how is it 2015? I don't understand. I know I'm sounding very cliché right now in my amazement, but it's at least genuine amazement. We kicked off this new year with a few overview posts, including the 2014 Chapter and my list of Goals and Expectations for 2015. I've already accomplished some of those goals, which is exciting! I've been increasing my social media presence on Facebook and Twitter. I updated my review post format (It debuted last week!). Plus, in an effort to connect more with the book blogging community, I joined the 2015 TBR Pile Challenge hosted by Adam at Roof Beam Reader. I'll be adding updates for that challenge to these monthly chapter posts. All of that, 9 book reviews, and 9 books read. Not a bad start to the year. I even threw in a few Movie Monday posts as well: The Fault in Our Stars and The Maltese Falcon. I'm still loving working at home. I'm down to part time plus teaching now and I've officially started on my thesis. News on that coming soon. Hint: it completely centers around books! I'm wrapping up the course portion of my masters with a few literature courses, so you'll see those books trickling through soon. We've started getting involved in our church here and are finally meeting more people. We're really starting to feel more settled and that makes me happy on so many levels. Plus, I still haven't seen any snow. Nothing makes this cold-hater happier.